The name Orlando brings to mind vacations, Disney World, Universal Studios, and tourists (okay, and maybe Orlando Bloom! ), but for Orlando Naval Base families, the name also means home. Well, at least it’s home for as long as Uncle Sam permits! 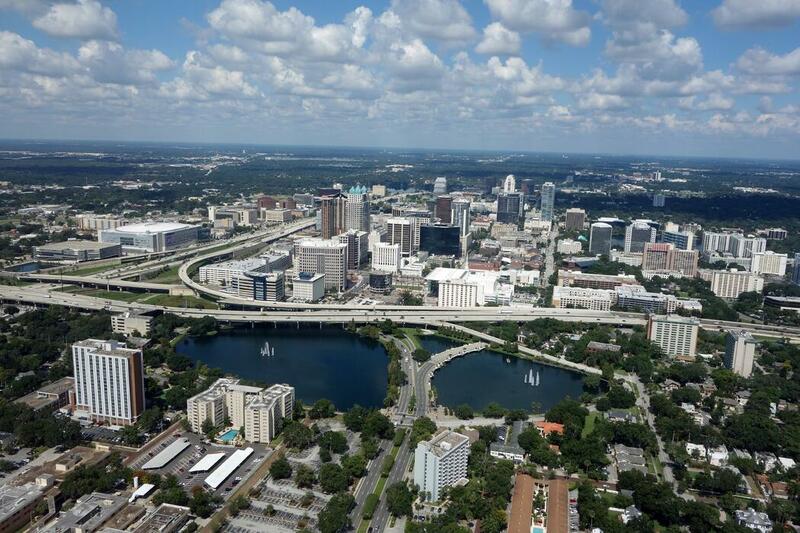 Though you may only know the greater Orlando area in all of its tourist-trapping glory, you might be surprised to know that the area is home to so much more. With great cultural activities, easy access to beaches and transportation, a low cost of living, and great opportunities for employment for military spouses and post-military life, Orlando offers a good quality of life for military families. Located in central Florida, the hot and humid Theme Park Capital of the World is also home to a large sector of the defense industry, making the area a hub for those in weapons systems, training, and simulation. As a result, Orlando is home to many retired military families who find employment in the area. For Naval Base Orlando families, however, the area is also a great option for those military spouses who wish to find employment, as Orlando has historically low unemployment rates. With a booming high tech industry, entertainment and tourism industry, healthcare industry, and education industry, military spouses across the spectrum of careers can find employment! Offering quaint villages, beautiful lake areas, and a busy central business district, Orlando offers a wide variety of housing options. Naval Base Orlando families can search the map for housing that spans the area surrounding the University of Central Florida all the way over to Winter Park for a 45-minute commute. Orlando is also home to several of America’s first successful master planned communities. Orlando suffered great losses during the recession, which means that families relocating to the area now can find houses still at approximately half the value they were prior to the recession. The median house value is approximately $112,000. A sampling of BAH rates for the area offers a better insight into cost of living expenses, and as you’ll see from below, the cost of living in Orlando is quite affordable. Depending on where you live in Orlando, beautiful Cocoa Beach is only a 45-minute drive away, making it an easy go-to beach for military families in Orlando. For a little further drive, your family can experience the calmer seas of the Gulf Coast beaches on the west coast of Florida. On the Gulf Coast side, St. Petersburg Beach and Fred Howard Park Beach offer two scenic beaches that avoid much of the tourist trappings, and a trip to the more touristy Clearwater Beach and its surrounding beaches makes for a fun day with great water and play activities for children in particular. If you’re taking a trip to this area, make sure to check out MilitaryByOwner’s regional blog, MacDill Happenings, which details events in and around the Tampa Bay area for military families. If you’re interested in a vacation away from vacation-land, though, you have many easy options. As a former resident of Florida for almost a decade, I can share that Floridians love a vacation just as much as the next person; unlike the rest of us, they just leave one warm, tropical place to go to another! Located only a short drive away from a number of ports—Cape Canaveral, Tampa, Jacksonville, Fort Lauderdale, and Miami, in order of drive length—Orlando offers great proximity for those seeking sun in the Bahamas, the Caribbean, and Central America. Cruise ships offer some inexpensive weekend trips that, when combined with either a Florida resident discount or military discount, make for affordable vacation options for military families. Orlando also offers multiple airports and train options. Orlando International and Sanford International airports offer great flexibility to help Naval Base Orlando families find affordable travel options to make it home for the holidays. Amtrak also offers an auto train, which departs out of Sanford and goes directly to Lorton, Virginia, which is about 20 minutes or so from D.C. Amtrak also offers a military discount for coach seats. Make sure to check out the ITT offices on either Naval Base Orlando or at the Shades of Green Resort in Disney World for tickets and travel options. Now, if you’ll excuse me, after writing about this, I’m going to go and plan my family’s post-military life in Orlando!